Southern part of Auridon map. In the central part of Auridon map. South and a little West from Mathiisen Wayshrine. Almost directly South from Calambar Dolmen anchor. Smuggler’s Cove on the west coast of Auridon. It is directly west of Shattered Grove and directly north of Wreck of the Raptor. 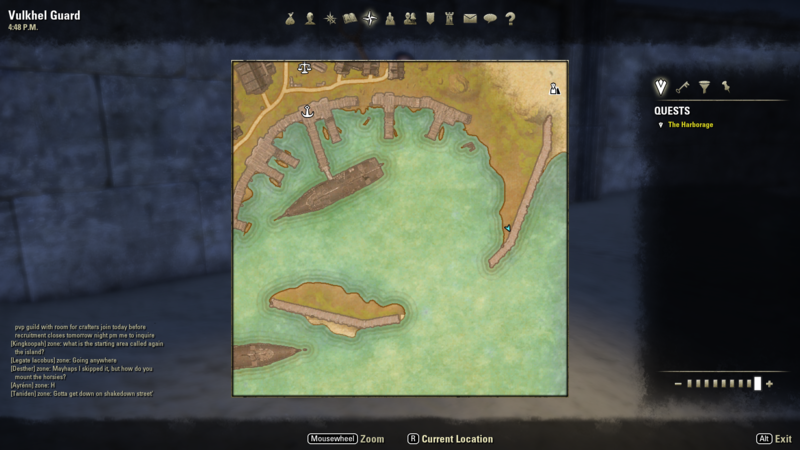 In the middle part of Auridon map on the east coast. From Quendeluun Wayshrine go towards east coast. It’s directly below Heretic’s Summons boss. The treasure is below the first rock. You will find a small peninsula next to a river bridge, near College Wayshrine. North part of Auridon map. Go to the Banished Cells entrance and travel southeast. Southeast from Vulkhel Guard Wayshrine, south and a little west from the Harborage icon, next to the stone wall. Thank you Vantroy for sending us the screenshot! That is, the Auridon CE treasure. Hey i have pictures of the Auridon CE Treasure Map location! Please email me so i can send you the pictures. What about Grahtwood Treasure maps? I’ve found treasure map IV and its completely impossible to find. Wow! Thanks so much. For some reason, I could not locate the area in map II. After several hours, I decided to “cheat” and check to see if someone was kind enough to post the location. This is so helpful. Also it was nice to see the loot is leveled according to the area – meaning I am not going to tear my hair out locating chests my character is too advanced to make use of.